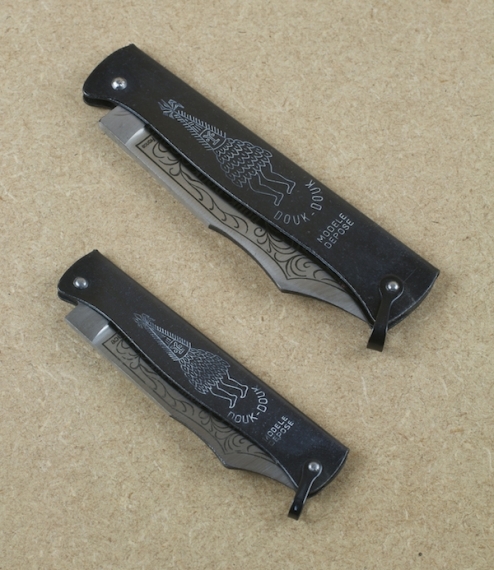 Created in 1928 by Gaspard Cognet for sales to the French pacific colonies, the knife handle bears the etched image of a douk-douk a Melanesian spirit incarnation, believed to bring luck, based on an etching Cognet had come across in an illustrated encyclopedia. This was intended as a simple, cheap, working pocket knife, the handle being no more than a folded gunmetal sheet, whilst the blade is XC70 carbon steel, tempered to HRC53, for easy if regular sharpening. 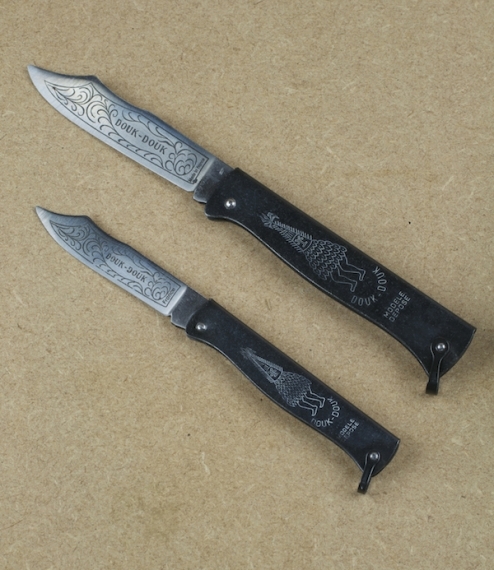 In two sizes The larger being about 11cm folded, and with a blade of 8.5cm, the smaller is just under 9cm folded and has a blade of 6.5cm. By electing to purchase this item you are confirming that you are over the age of 18, and that we may if in any doubt contact you prior to dispatch in order to verify this.